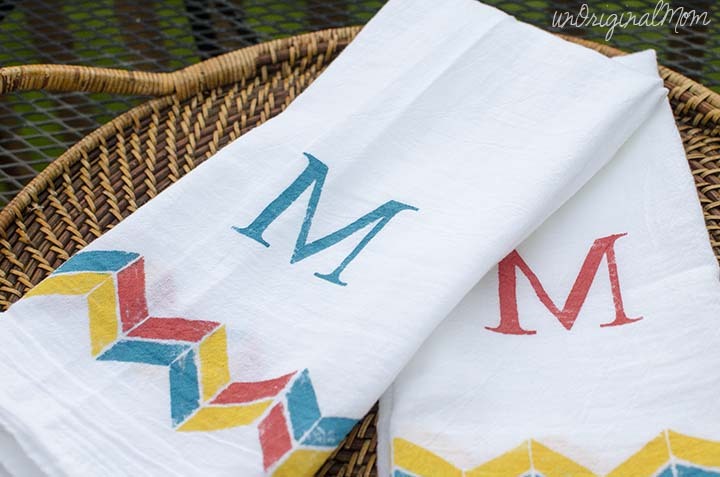 I shared this post over at Just us Four earlier this month, but in case you missed it, here’s a simple and versatile DIY project for you – some stenciled tea towels! 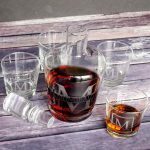 A quick Pinterest search will yield lots of inspiration for you…monograms, designs, quotes, and more. 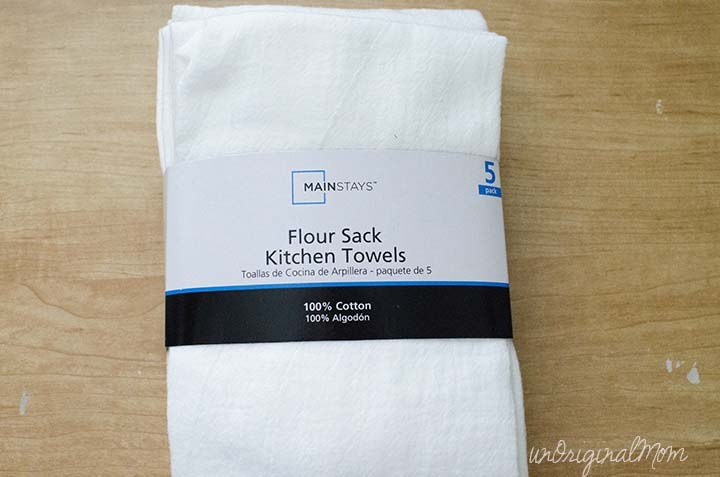 Plus you can pick up these flour sack towels from Walmart for just a few bucks, so it’s a really inexpensive project, too! 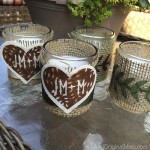 I actually bought these quite a while ago, but they sat in a closet for a few months until I got a crafting itch one afternoon and remembered they were on my to-craft list! So I pulled them out and whipped up a freezer paper stencil using my Silhouette. 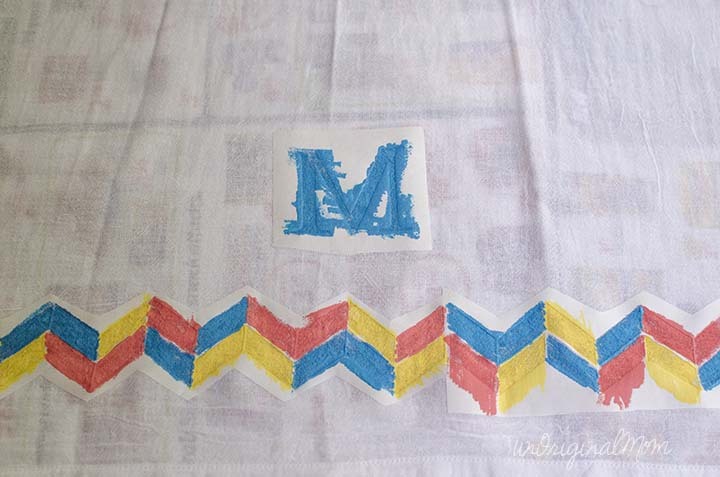 I love using freezer paper to stencil things on fabric – it irons on to create a temporary bond with the fabric, so you don’t get any bleeding…but peels right off when you’re done with no problem! 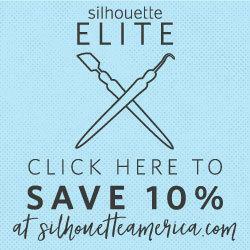 If you don’t have a Silhouette to cut a custom stencil, you could still use freezer paper for a less intricate design and cut it by hand or with an exacto knife. 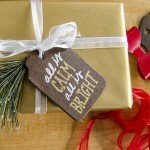 It would be easy to do with a generic, reusable stencil from the craft store, too…or keep it really simple with some solid straight lines and use masking tape or painter’s tape! 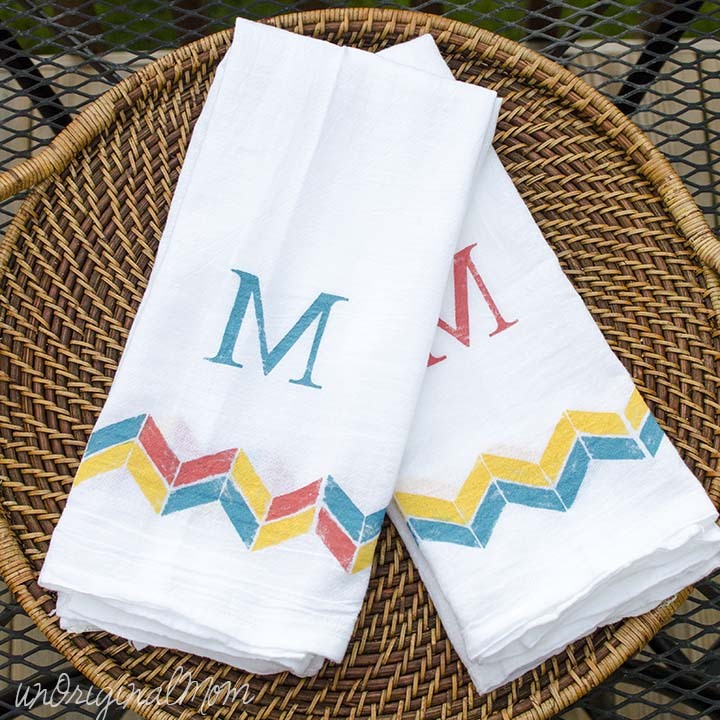 I used acrylic paint mixed with fabric medium, so these towels will hold up well to washing. (Make sure to follow the instructions to heat-set your paint when you use fabric medium.) I may have gotten a little ambitious with the multi-color herringbone design…it was a bit tedious to carefully paint all those little squares with a foam brush without getting over the lines. But I love the end result! An extra coat would have made the colors clearer, but I like the vintagey look of the one-coat sponge paint. What’s been sitting in your closet waiting to be crafted? 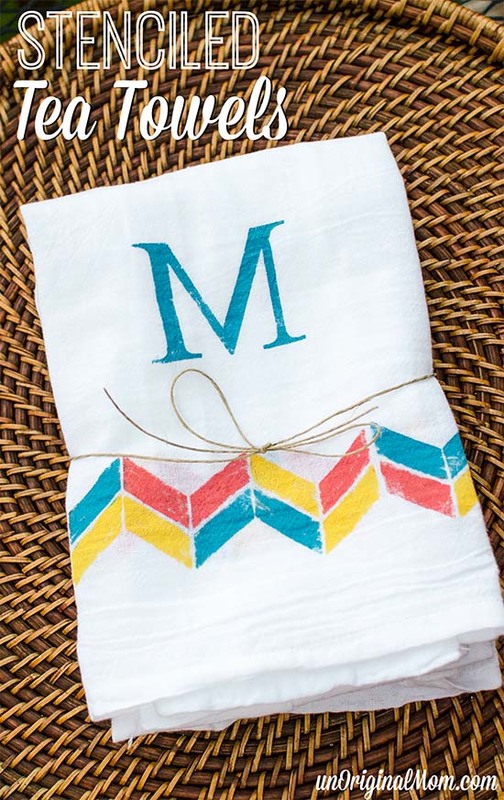 Perhaps some flour sack towels like these? 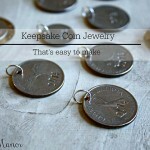 Stopping by from Time to Sparkle link party. 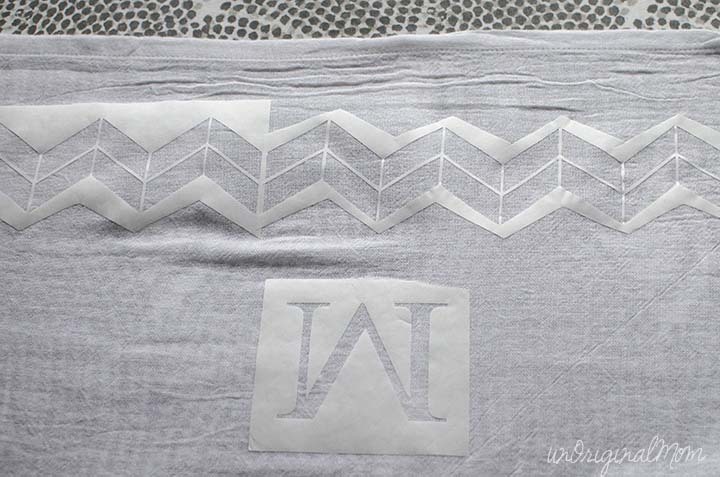 We just tried heat transfer vinyl on tea towels, but I’m loving the stencil, you can do more colors and it looks more rustic, which is my style.